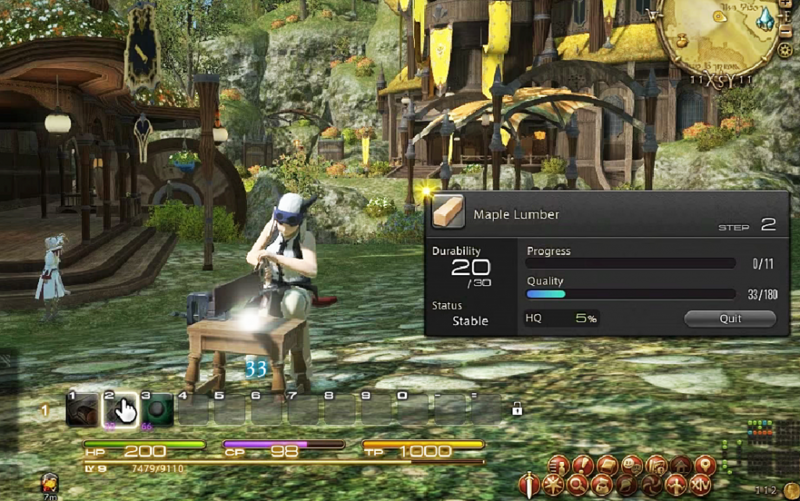 One, all the gathering/crafting things level 10-30 in HQ should be relatively high price. Because no one is farming/crafting them anymore. So it is advised to check some low level equips/gathering items on your server Market and go craft/farm these. People are rich, if they need it and there is only yours on the market they will buy it and they wont go farm mats to craft it. Study your market and sell what people need. Two, look for gatherables that sell decently and frequently. Three, shards were a pretty good jump-off point, they may still be, depending on your server's needs. You could farm around 700 shards an hour and sell it for 100k. Multiple people could still earn a significant amount of change with very little investment and requirements other than time if shard prices on your server are decent. Four, checking to see how Grand Company items are selling on your local MB may be worth looking into as well. Don't know what level you guys are at, however, but there are several items in GC that go from 15-25k which is easy money if you're grinding seals. Last, as it has been mentioned in the 1st way, do some research. Check what's within your reach (of investment money/levels/gear) by looking up sites (there's several good wikis/databases) and then compare to see what sells at an acceptable amount. It might be tedious work at first but if you're a group, it won't take that long at all. As mentioned above, choosing what kind of way relies on your server. Then you can pick a way that fits you. If you are looking for cheap FFXIV gil, we can offer as you wish. Also we are a professional and safe place to deal your orders. Follow us and you can get even more discounts.